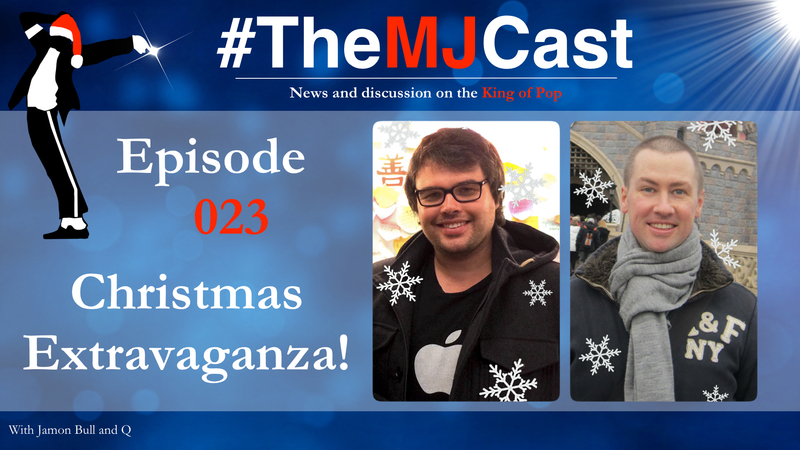 This entry was posted in Specials, The MJCast, Uncategorised and tagged 3T, Bad, Billie Jean, Bubbles, Chapter III, Chris Cadman, Christmas Album, D Francis, Damien Shields, Darren Hayes, He Said He Said Show, Janet Jackson, Jankins, Jermaine Jackson, Joe Vogel, La Toya Jackson, Leaks, Lynton Guest, Man in the Music: The Creative Life and Work of Michael Jackson, Michael Jackson, Michael Jackson Masterworks, Michael Jackson Story Quilt, Michael Jackson: Innocent - 28 February 2005 (Book 1), Michael Jackson's Private Home Movies, Moonwalk Talks, podcast, Remixed by Nick*, Summertime Feeling, Syl Mortilla, The First Book of Michael, The Jackson 5, The Jacksons, The Jacksons: Next Generation, The Maestro, The MJCast, The Trials of Michael Jackson, Tony Succar, Trouble (La Remixes), Unbreakable, Unity: The Latin Tribute to Michael Jackson, Xscape Origins by Jamon Bull (Admin). Bookmark the permalink. I love listening to this Podcast. I definitely tilt my hat to not only you guys but the special guest you have to the show. It makes everything MJ refreshing no matter if it knew what the topic was or if it was new information. SUGGESTION: If possible could you guys please do a show or segment on Michaels Unreleased Music. What’s registered, rumored; leaked etc. I know as selfish as it sounds I’m always looking for and wanting new MJ music. Countless hours are spent trying to research the unreleased stuff. What I would do if I was the estate and with next year being the end of the 2010 contract. I would release a project either called Michael Jackson: The Underrated Collection. Same format as The Ultimate Collection but with songs like Darling Dear, Blues Away, I Can’t Help It, Baby Be Mine, Liberian Girl, Can’t Let Her Get Away, Smile, Morphine, and Whatever Happens. Also add a bunch of unreleased songs/demos, alternate takes and extended versions. That’s the kind of stuff I feel like the fans want and that way they can take a 5-10 year break from releasing things. Get Michaels vaults and materials in order and archived correctly. Really reach out to the people that worked with Michael and really get them on board. Get the most background knowledge possible on everything Michael created. We’re not dumb. We know there’s tons and tons of material out there. Think about the stuff we don’t even know exists. Stuff that isn’t in the estates hands. So often do I catch myself playing unreleased songs more then I do the released stuff. I sometimes question why certain songs were left off albums and why things just weren’t released but I also understand that it had to be MJ approved. It had to be ready. Hopefully this is something you guys can work on. I think it will be a fun topic. It may even top this 5 hour podcast!! !